To make a traditional coq au vin, you brown the chicken, bacon, and vegetables in a Dutch oven first, then braise with dry red wine, chicken stock, and cognac mixture and lastly bake in oven. Serve with green beans and mashed potatoes. RecipeSavants.com To make a traditional coq au vin, you brown the chicken, bacon, and vegetables in a Dutch oven first, then braise with dry red wine, chicken stock, and cognac mixture and lastly bake in oven. Serve with green beans and mashed potatoes. 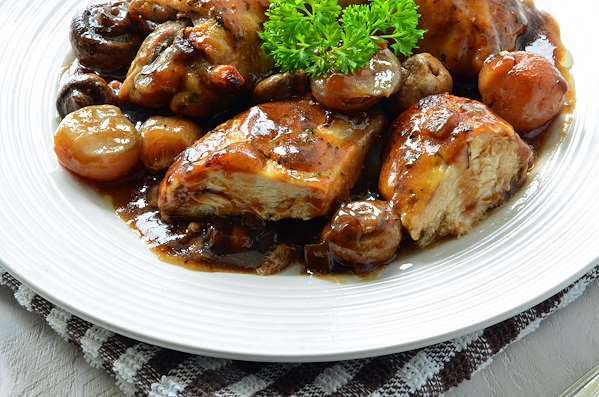 Smart Recipes, European Recipes, Chicken,Dairy,Grains Recipes, Recipes Chicken,Dairy,Grains European Coq Au Vin PT1H35M Serves 6 Ingredients: 2 Cup All-Purpose Flour 1 Teaspoon Salt & Freshly Ground Black Pepper 1 Cup Milk 2 Pounds Chicken Thighs 3 Tablespoons Extra-Virgin Olive Oil 0.5 Pound Button Mushrooms 2 Cups Baby Carrots 1 Onion 2 Cups Red Wine 2 Cups Chicken Stock 2 Teaspoons Italian Seasoning 0.5 Teaspoon Dried Rosemary In a shallow bowl, season the flour with 1/2 teaspoon each salt and pepper. Coat the chicken generously with the milk dripping off any excess, and then coat the chicken with seasoned flour. Heat the oil in a large Dutch oven over medium-high heat, and brown the chicken for about 3 minutes per side. Stir in the vegetables and red wine, scraping up any brown bits off the bottom of the pot. Stir in the herbs and remaining salt and pepper and bring to a boil, and reduce to a simmer, covered for 1 hour, or until the chicken is fork tender. Increase the heat to medium-high, and cook uncovered for about 10 minutes or until the sauce has thickened slightly. If you enjoyed this easy braising recipe, you'll love these fresh ideas! This flavorful stew is a favorite in Hungary. My easy recipe includes fork-tender braised beef in a savory broth. The sweet paprika, wax peppers and hint of wine send your taste buds into orbit! 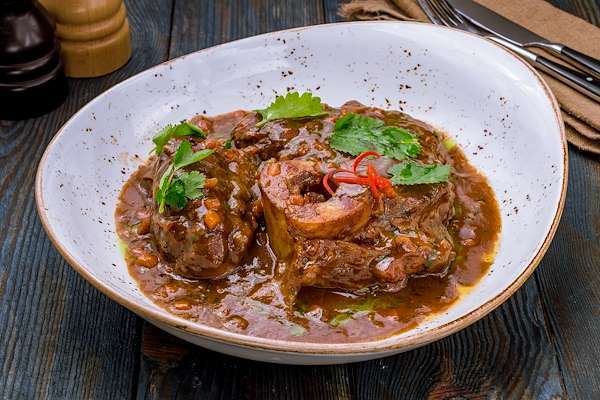 This elegant Italian dish is traditionally made with bone-in veal shanks in a savory tomato sauce. The meat in my easy recipe is well-seasoned with fragrant herbs & spices, then braised to tender perfection in chicken stock and white wine. This gently-cooked lamb shank and sweet peas entrée literally melts in your mouth. Cipollini onion, a sweeter kind of onion, gives this dish a residual sweeter aroma and taste. Serve this hearty dish mashed root vegetables. Invite your family to go south of the border with this scrumptious Mexican-style recipe. 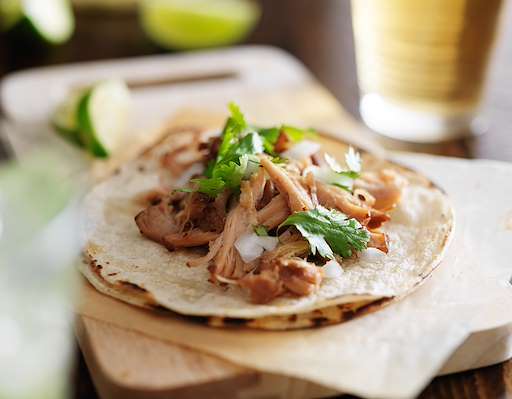 Load warm corn tortillas with tender, savory pork seasoned with aromatic herbs, spices & citrus juice. For a little kick, drizzle them with warm tomatillo salsa flavored with jalapeno. Ole!